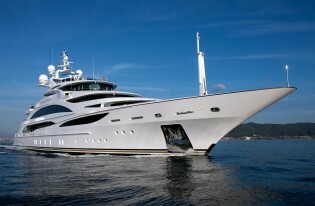 New launch in Livorno for Benetti 60m Diamonds are Forever Megayacht – Superyachts News, Luxury Yachts, Charter & Yachts for Sale. “Diamonds Are Forever”, this is the name of the new Custom megayacht launched on Saturday 26th November 2011 at the state-of-the-art Benetti shipyard in Livorno. 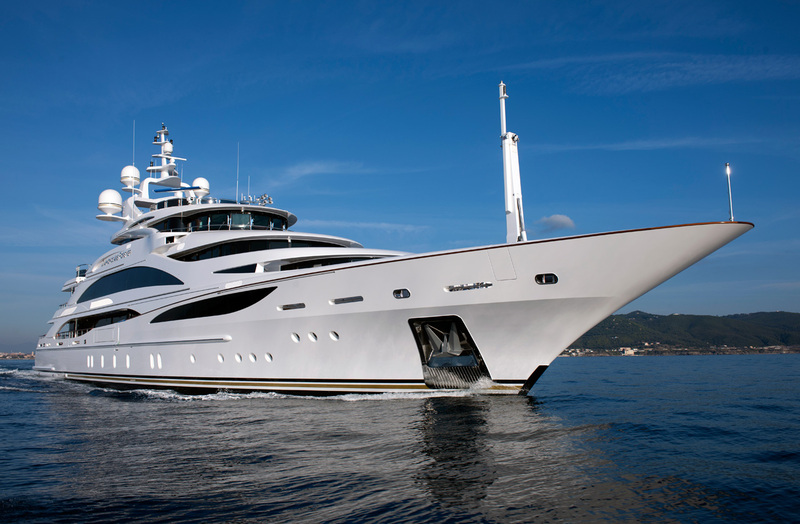 Benetti FB253 60mt is the yacht’s official identification, but for her owner it’s “Diamonds Are Forever” superyacht: the official name of the yacht and the very personal signature of Mr. John Staluppi, an established shipowner who has always been a fan of the Bond, James Bond saga. Based on Benetti naval architecture and engineering, the elegant external line of the new FB253 luxury yacht Diamonds Are Forever is characterised by compact forms and dynamic slender lines: a balanced combination of traditional design elements and modern innovative stylistic solutions which have become the shipyard’s distinguishing mark throughout the world.